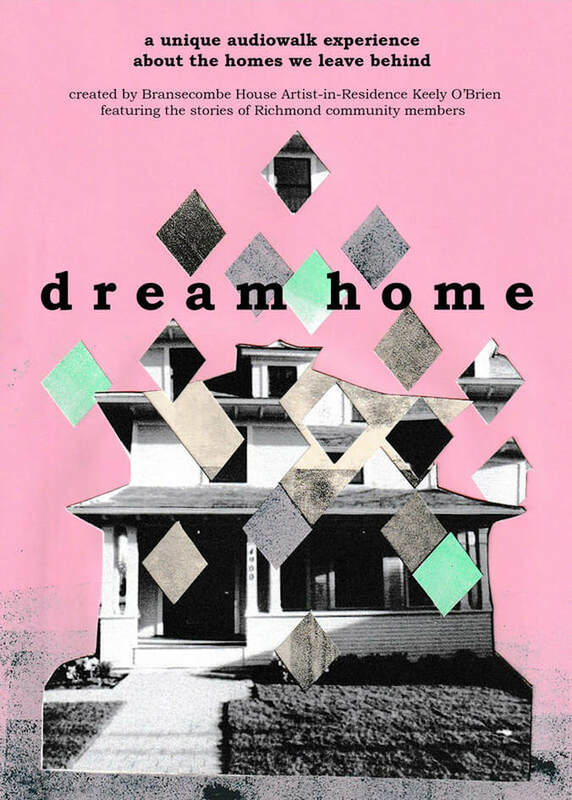 Dream Home is a site-specific audiowalk which explores the loss, longing, and hope of leaving behind a home. Audience members listening to MP3 players are guided one at a time through the Branscombe House and yard, pausing to hear memories unfold in each room. The recorded stories of Richmond community members with diverse experiences of leaving behind their own homes, from immigration to travel to homelessness and housing instability, are interwoven into the piece. This intimate and haunting experience attempts to honour and share the memories left behind in every vacated home, as well as invite audience members to join as witness to Keely O'Brien's goodbye gesture to Branscombe House after a year long residency. Created by Keely O'Brien during the Branscombe House Artist Residency.